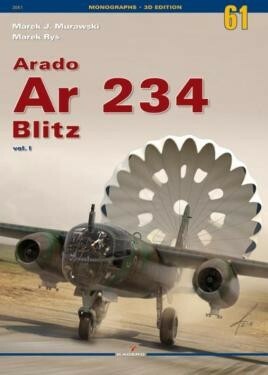 The new edition of Arado Ar 234 monograph devoted to the history of the Arado Ar 234 Blitz, the first German jet bomber and reconnaissance plane. The book has been supplemented with new pictures and include a large number of detailed 3D visualization featuring aircraft design. The first volume covers its design and development in regard to the evolution of jet propulsion. Each variant is specified and described, including few which never progressed beyond the drawing board.